In the modern world every thing is being done through apps on smartphone and we need everything accessible on our phone. So we have bough some advanced gadgets that can be connected to your iOS or Android smartphones and help you in dealing with your medical needs. Some of these devices might not be useful for you but some might be depending on your personal needs. Accessing medical facilities and tests on your smartphone can save you a lot of time and money, so don't think too much before making your mind to purchase a gadget that you need. 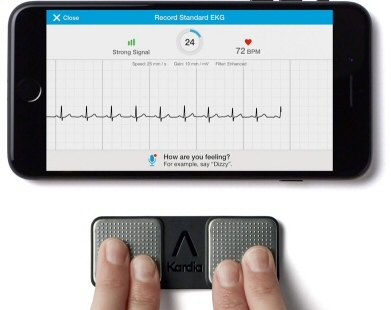 When this device is connected to your smartphone via a dedicated app then you can access your medical-grade electrocardiogram (ECG) on your smartphone. Using this device you can access you ECG within 30 seconds. 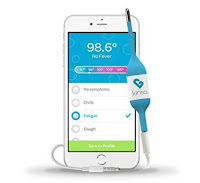 This digital thermometer can be connected to the headphone port of your smartphone and show you the temperature on your phone screen within 10 seconds. Its app can store previous reading of 8 family members. It is a good gadgets if you have got kids in your home. This gadget is a multi-function device that can act as a contact-less thermometer a stethoscope. Now you can check if the weird gurgling noise is pneumonia or something else even during the midnight without disturbing your kid. 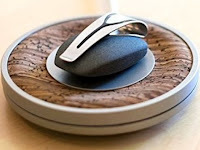 This gadget is a combination of two devices which can be connected to your smartphone. 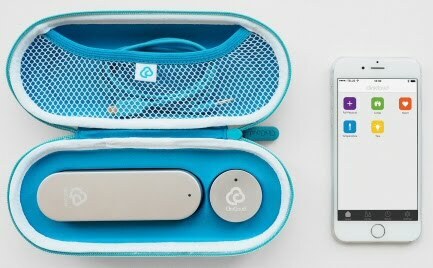 This portable allergen sensor can test if your food is gluten free or not within 2 minutes. If you or your kid is allergic then it is a good purchase to test food in a party or restaurant before ingesting it. The data of Nima sensor can be accessed through your smartphone. 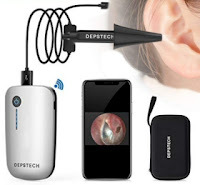 This mini device can be attached to the camera of your smartphone to take a look inside one's ear to find if any infection is there. It is good to examine a kids ear before taking him to a doctor for any ear related issue. This device supports wifi and can show the ear inside images on your smartphone. 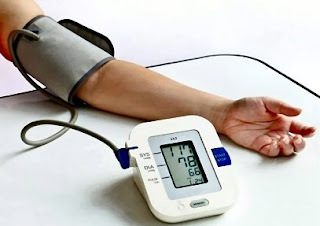 This BP monitor is a wireless device that can connect to your phone via an app and unlimited readings can be stored which can be used to share with a doctor. This device is an upper arm blood pressure monitor which are considered more accurate. 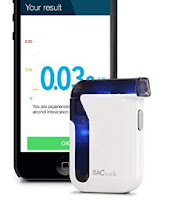 This breathalyzer can analyze your breathe to check if it is safe for you to drive after a possible consumption of alcohol. It uses the same technology which is trusted by hospitals, clinics, and even law enforcement agencies. W hope that you like the list of gadgets provided above. 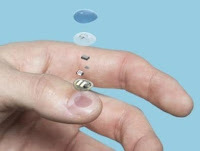 We will keep updating this list in future, so keep visiting betterhealthfacts.com to know more such medical gadgets which can be connected to your smartphone. Bad health of mother can cause childhood health complications which can sometimes even impact when the kid become an adult. Women health is more important because they are the basic creators of next generation and their bad health can show results in complete next generation irrespective of the kid being a baby boy or girl. Women health is being given more priority from past some decades. Today a number of scientific studies are being conducted which are primary objected around women health. Today as the technology is increasing, a number of new gadgets are invented which are primarily made for women. Some of these gadgets might be new for some of you. 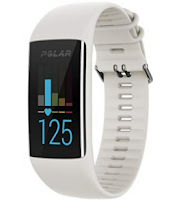 This fitness tracking device can also monitor progress of female fertility cycle along with all other tasks like measuring heartbeat, foot steps and calorie count. It can show you notification 2 days before your next predicted period start date, so you can prepare accordingly. It also analyzes your sleep pattern and impact of your fertility cycle on your health. If you want to make your pelvic muscles stronger, which is a need of more than 30% women around the world, the this gadget is meant for you. This device actually goes inside while being wireless connected to your smartphone. 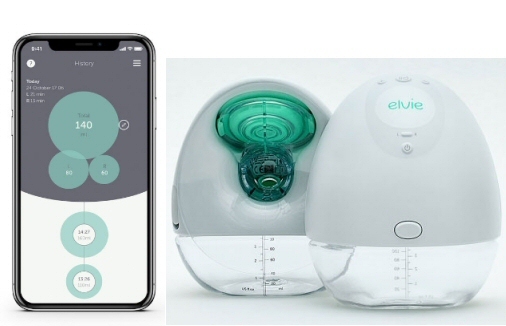 Then your smartphone helps you is exercising your pelvic muscles muscles and the Elvie measures the pressure put by you and thus measures your exercise impact. It keeps a record of your muscle training and show you the improvements. It is meant to be used with good hygiene. This next generation breast pump is new in market and useful for new working mothers. This breast pump can be worn under the clothes and does the pumping very quietly. The milk is filled in a reusable BPA-free container which can be stored in a storage of your choice, so that the milk can be fed to your young-one. The parts of Elvie pump are dishwasher safe and it gives freedom to women from breast feeding, especially when they can't due to a job. 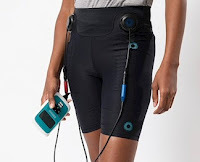 These shorts can prevent you from urine leak problem (that occur due to sneezing, coughing, running and jumping) in 1 in 3 women due to weak pelvic muscles. These shorts need to work for five 30-minute sessions in a week to exercise and stimulate your pelvic muscles. The results of these shorts are proven good. 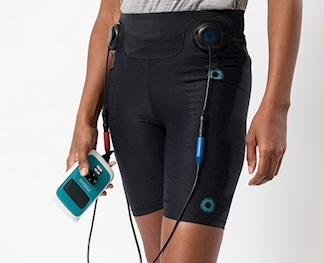 These shorts contain conductive panels to stimulate your pelvic muscles. Yes these gadgets can also be considered as a health gadget as they keep your muscles toned and give you good pleasure to keep your mood good. See Price of different types of these personal gadgets. This fitness tracker looks like a necklace clip that can also be worn. It tracks your sleep, breathing, menstrual cycle and heart rate. It can be connected to your smartphone via an app and then help in keep all stats in one place that you can look at. This UV patch created by world famous beauty product company L'Oréal, is as small that it can be worn on your nail or sides of your sunglasses and it monitors the UV radiation level to tell you that its time to wear a sunscreen to protect you from harmful rays. These gadgets are basically meant for women and some more gadgets will be added on this page. Some smart-bra are in development which will help women in their exercising schedule. Keep visiting betterhealthfacts.com for more updates. 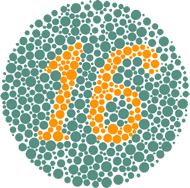 8% men and 0.5% women around the world are color blind, yet most of them don't even know about it unless they face some issue related to it. 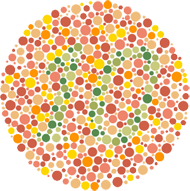 SOme people think that color blindness is having a grey-scale vision, which is not true. 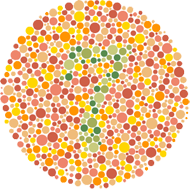 Color blind people are not able to distinguish between certain colors and thus it is actually color vision deficiency. 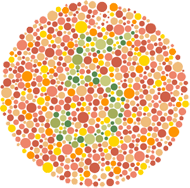 Here betterhealthfacts.com has designed a test for you to check if there is some issue with the color vision of your eyes. 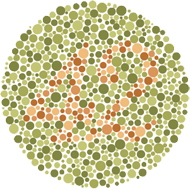 Before you go for the test you must know that 4.5 percent of population around the world is color blind. 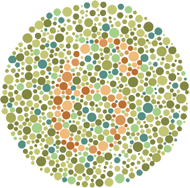 99% percent of them are red-green color blind. Cone cells in our eyes are responsible for color vision and they are of three types to distinguish the three primary colors: red, green and blue. All colors are made by combination of these colors and thus evaluated by these perfectly balanced cone cells. But if certain type of cone cells are missing or have got their peaks shifted then it causes color-blindness. Even if one type of cone cells are missing then whole color spectrum is affected. 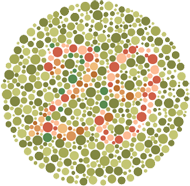 Usually color blindness occur due to genetic reasons. 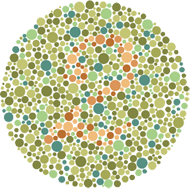 We have designed a test for you to check if you are color blind or not. Just fill in the numbers that can see in the images. Even if you are not sure then you may try your approximate idea or may leave it blank. Our eyes are one of the most important external organs in human body. A normal person can't even imagine a life without eyes. Yet most of us don't care much about them and never go for a vision test, unless they face some severe headache or focus related issue. 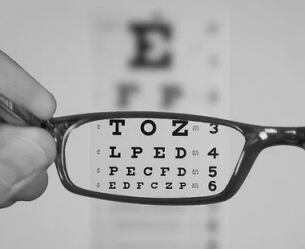 We would suggest you to go for a vision test at least once in every 2 years if your are above 40. Prior to to the age of 40, once in every 4 years is sufficient if you are not facing any issue with your vision. In the mean while you can test your sight using the following test to check your vision at home. Step 1 : Keep your smartphone / laptop at a distance of 1 meter from your eyes. Step 2 : Keep your left eye closed by placing the hand over it (don't press it) and try to read the alphabets. If you face any issue in reading the letter between green and red bar, then it means that you have got some focus related issue with your right eye. Step 3 : Keep your right eye closed by placing the hand over it (don't press it) and try to read the alphabets. If you face any issue in reading the letter between green and red bar, then it means that you have got some focus related issue with your left eye. Note : At any point if you want to check if you read it right, then bring the screen closer and then back to its previous position. Don't try to fool yourself while doing so, as here you are not appearing in any exam, but checking your own eyesight. Result: If you are able to read all lines perfectly then you have got a perfect eye sight, which is better than 20/20 or 6/6. If you are unable to read last 3 lines then still your eye sight is good and can be made better by performing some yoga exercises for eyes. 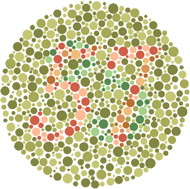 But if you are unable to read the letters between green and red bar then you must see an eye specialist and get your eyes tested by a professional. If you are unable to read the lines above green bar then there is a major issue with your eyes and you might need special care. Yoga Meditation is the best practice in world that not just helps in attaining peacefulness but also helps you in knowing the maya of the creator. However this world is maya, but there is no harm in letting this maya be comfortable for you and help you in doing Yoga Meditation in a better way. Those who have mastered the art of Yoga may not need the gadgets that can help in meditating, but most of the users can definitely get benefit from them. We have collected some of the best gadgets created by innovative people to help you in yoga meditation. This gadget is one of the best and one of its type. It can track your brain activity, heart rate, breathing, and body movements and then guide you the best meditation experience. 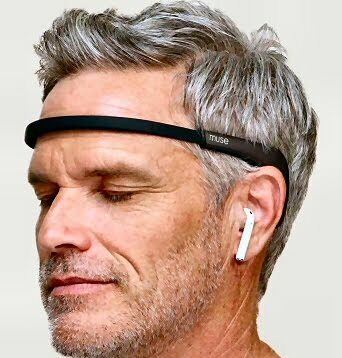 Once you wear it, it can check the activity of your mind and gives you instant feedback to control your mind and go into deep meditation. The earphones play natural sounds in your ear that show the status of your mind. You can also review your meditation data on your smartphone and check your progress. This yoga chair is designed by Swami Dhyan Unmesh, who is a registered Yoga Teacher & Osho Meditation Facilitator. It is available on Amazon under the brand name of Friends Of Meditation (FoM). 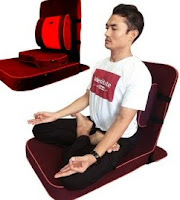 This yoga chair is best for those who find it uncomfortable to sit in cross-legged postures like padmasana. People with back pain get comfortable support on this chair and also get relief from problems like numbness in legs while sitting cross-legged. 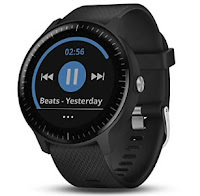 This fitness tracker is different from other fitness trackers as it can also track your breathing. It can sense when you are tense and also help in breathing meditation. Breathing meditations are the best meditation practice for both beginners and experienced and this gadget can help you in mastering the art. 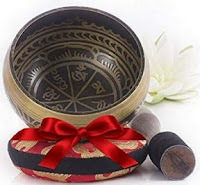 The Tibetan Singing Bowl produces a perfect meditating and soothing sound when the stick provided is rubbed on the rim of the bowl. It can be perfectly used for the purpose of meditation. These bells are used in Buddhist meditation prayers and it can hold your mind. 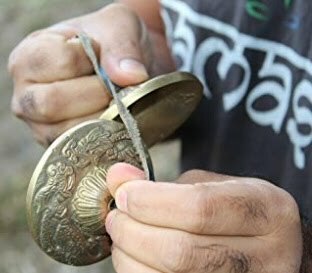 These handcrafted bells are finetuned for auspicious sound of OM. The sound produced last for 30 to 60 seconds. The above gadgets are just meant to help you in your yoga meditation practice. Your actual potential to learn meditation depends on your personal efforts and your trainer. But one thing is for sure that meditation improves your health by improving your immunity from inside. Fitness tracking is the latest trend among those who really care for their health and want to measure it and improve it. Fitness tracking wristbands can easily do this job for you and also share the information with you on your smartphone. 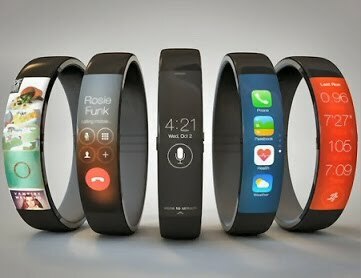 Some of these wristbands can also act as a wristwatch and second screen of your smartphone. The convenience of their usage can be understood by the fact that they can be worn even while sleeping. Apart from tracking your physical activities like walking, running and exercising, they can also track the quality of your sleep. Some of them are just splash proof but some can even be worn while swimming. We have collected some of the best fitness tracker wristbands for you that you can get to measure your fitness. Features of these wristbands are also mentioned with them. 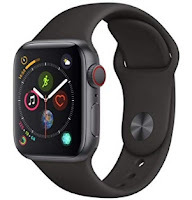 Most of the Fitness Tracker Wristbands can be paired with a iOS or Android Smartphone and have got apps in apple store or play store to use them. Before purchasing any one of them ensure in advance that it is compatible with your current device. 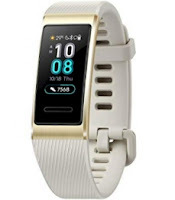 Some fitness trackers are complete phone in themselves as they also provide a sim slot as well. 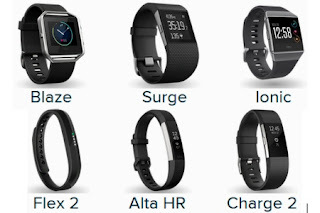 You should choose your fitness tracker according to your usage and properly reading the reviews. Healthcare gadgets not only help us in dealing with already occurred long term diseases like hypertension and diabetes but help us being fit. There are a number of healthcare gadgets that are must in a home of an educated man. Here we will list some healthcare gadgets that you should purchase if you have not done that yet. Some of them might sound a bit odd but believe me that they are necessary. 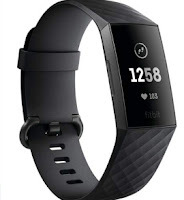 Fitbit Fitness Wristband : These wristbands can monitor your heartbeat, steps taken and also calculate the calories consumed. It is must if you want to known your daily calorie consumption and then decide your calorie intake. The measurement of your physical activity also inspires you to break your own record and take more steps daily. 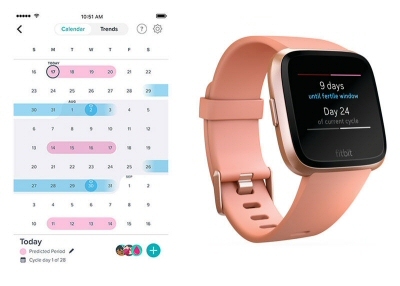 Fitbit can also track your sleep quality and can wake you up with a vibrating alarm. 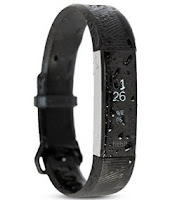 Some advanced versions of Fitbit even work under water and can be used while swimming. 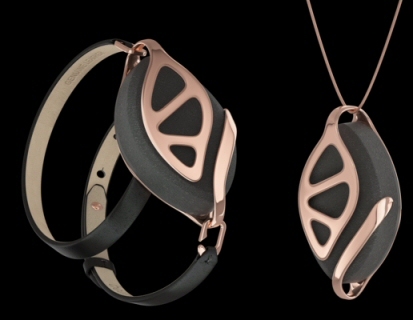 They look like a wristwatch but they are actually world's best fitness tracker. Gluco Monitor : These devices are capable of measuring blood glucose level at convenience of home. 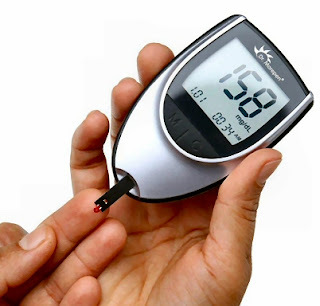 Gluco Monitors are extremely beneficial for diabetics who need to measure their blood glucose level more often. It tells you the blood glucose level by taking a blood drop out of your fingertip within seconds. Blood Pressure Monitor : Just like the above device the blood pressure monitors can check your blood pressure without and specific training. Just put the batteries into the device, wrap the band around your arm and press the button to measure your blood pressure. It is a must have device if you are above 40. Weekly or monthly measuring your blood pressure is a good habit to keep track of your health. 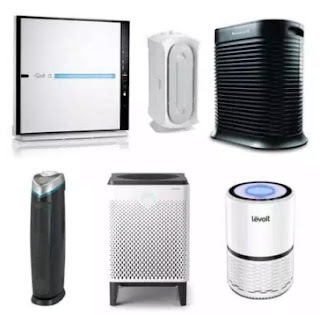 Air Purifiers : These devices are necessity of a modern home in a metro city where air pollution level is increasing. PM2.5 filters in these devices are capable of filtering the very small impurities found in polluted air. They can filter dust, smoke and bad odor. 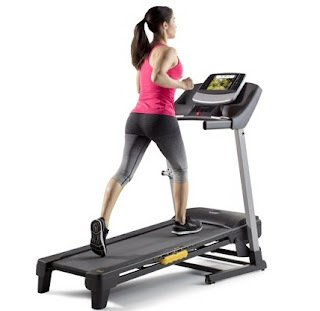 Treadmill : Running is the best exercise to keep yourself fit and using treadmill you can do it at your home. If you like to exercise a lot then you can go for next option as well. 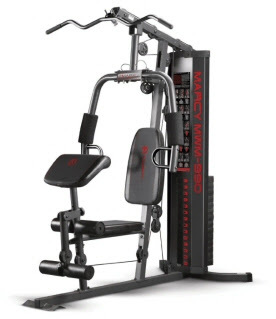 Home Gym : Home Gym is must is must if you true prefer your health over any other thing. This device might acquire some space but if you utilize it on daily basis then you can live a long and healthy life. Just take the necessary precautions about your posture and exercises or better learn them first from a professional trainer at a gym and then do it at the comfort of home. Apart from the devices listed above, there are lot more that can be listed here. We will try to cover them in our next articles. But those listed here are must if you want to keep yourself healthy. 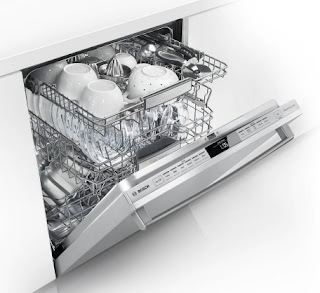 Why Dishwashers are a healthy alternative ? Some naturalist people may ague on this topic that dishwashers are actually healthy or not. Everything has got a positive and a negative side, but if we get rid of negativity than only positive is left. When it comes to using science in our daily lives then some precautions are also necessary. Using dishwashers is our kitchen looks fascinating for those who have not used them but keeping them clean is also necessary to keep your utensils germ free. Here we are going to tell you some healthy sides of using a dishwasher and how you can keep yourself away from unhealthy side-effects of dishwashers. Why dishwashers are Healthy ? 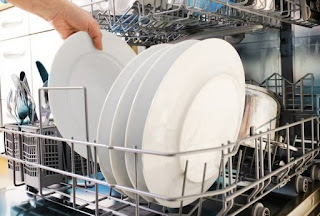 Dishwashers use very high temperature water to clean the dishes and the mixture of hot water and cleaning agent cleans it better than hands can ever could. The temperature difference from cold to hot and then wet to dry, that occur inside dishwasher is sufficient to kill most of the harmful bacteria that can sustain on your dishes during hand washing. 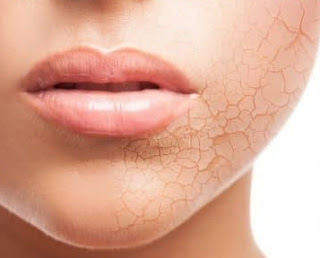 Kitchen sponge used in hand-washing of dished is found as germiest thing in your home is most of the researches, so you can't even compare the cleanliness of dishes washed in dishwasher with those cleaned with kitchen sponge. Dishwashers use high-tech jets to clean your dishes that you can never do with hands. Washing dishes with hand use much more water than used in a dishwasher. 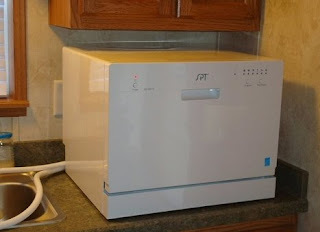 So if you want to save water and keep your dishes cleaner as well then dishwashers are must. Clean your dishwasher at least once in a weak. Proper cleaning of door's rubber seal is most necessary. Never clean your dishes with a kitchen sponge before putting them in dishwasher as it will only add more germs instead of cleaning. The inside of dishwasher go through high temperature, high organic load, high alkalinity and high salinity. 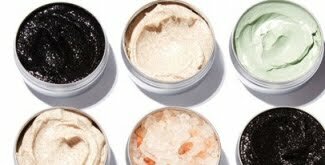 It makes the perfect environment for some pathogens to develop in the rubber seal if proper cleaning in not done. A research conducted on samples collected from dishwashers of different brands used in different types of households in different continents found that 62% samples contain potentially pathogenic fungal flora. 56% of them contained black yeast Exophiala dermatitidis and E. phaeomuriformis which can cause potentially fatal infections in humans. 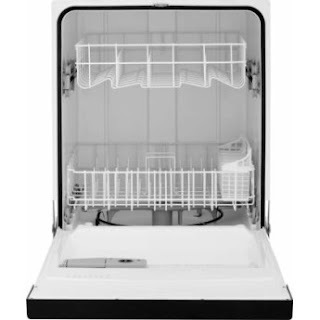 The only way to keep yourself safe is to clean your dishwasher on regular basis, especially the rubber seal of doors. Note: If you are planning to purchase a dishwasher then don't cancel it thinking about the fungus that can grow in door seals, because these fungus can affect only those who have a weak immune system. 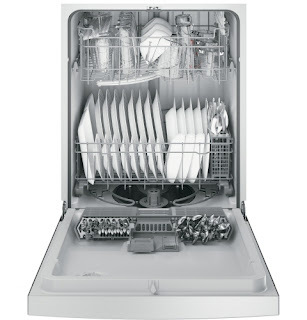 A little care of your dishwasher and your general health is sufficient to keep everything alright.